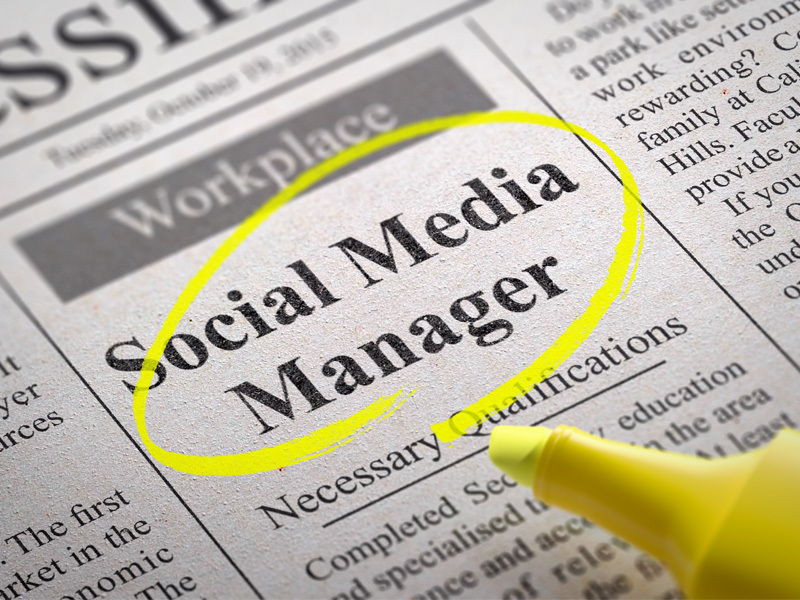 Social Media Manager is such an exotic job title that it leaves a lot of business owners confused on what exactly do they do. Since the emergence of social media networks like Facebook and Twitter, these sites became an avenue to interact with everyone. Facebook also has it’s own option to set up a company profile page that business owners can use in order to provide more information to their customers and to interact with them. In short, social media platforms are rapidly being used as a marketing platform that can deliver news, updates and promotions to existing and new customers. Having a social media account is a must in this internet age if you want to spread your brand that is. Additionally, promoting your business through social media is a cheap alternative to traditional marketing platforms such as print media and T.V ads. This gives power to small and medium business to compete with bigger business due to the lower cost of marketing. Another bonus for having a social media account is the access to billions of users of social media platforms. You don’t have to do anything to find the traffic, because the traffic is already present inside these social media platforms, how easy is that? All you have to do is to tap into that traffic and build up your brand and followers. That’s the hard part, building your brand and followers. It’s not easy especially if your business is new, you need to expend a lot of effort in connecting with people that already tried your service and convince them to “like” your page. Some business owners would just throw money at it and think that they did a good job because they had a daily budget of one thousand dollars running for a month and later on finding out that their investment were wasted because there campaign were not optimized to fit their companies needs. That’s where social media managers steps in, they manage your social media account and promotions. Justifying a job vacancy for this type of work is moot if you have the time to do it your self and conduct proper research on social media management and to correctly implement what you learned in managing a social media account. A lot of business owners spend a lot of time managing their own social media account, and some of them are quite successful while a lot of them aren’t. The main reason behind the failure is not because of lack of effort but underestimating the vastness of the things you need to learn in order to successfully manage a social media account. Imagine this scenario, you are busy reviewing an inventory report and all of a sudden you just saw one of your customer posting a hate message on one of your post. What will you do? would you stop doing your inventory and respond to the problem or would you rather continue and just hope that everything will sort out? What’s the reason behind this problem? What will you do next in order to prevent something like this to happen again? You see, there are more questions than answers in this kind of scenario. Business owners are overestimating their ability to micromanage, that’s a fact. If your gut tells you that you don’t have time for all of these, then the answer is simple, you need a social media manager. No you don’t have to hire full time employee for this but you need someone to look into your accounts and monitor it daily. You also need someone who is great at sales and have the capability and knowledge to run a successful social media promotions. Running numerous social media account is not easy. You think talking to people is easy? we are not just talking to people here, but we are actually establishing a sort of relationship with the community to boost the brand and to execute promotions flawlessly. There’s also a lot of baggage that comes with social media managing, the manager should know how to use an autoresponder as these are necessary for list building. The manager should also know how to do basic photo edits for those funny pictures and memes that is customized for your business, yes they do work. These are the traits we think are needed to be a successful social media manager. 1. Positive outlook – Nothing beats this trait. People log in to Facebook to smile and to connect with people. They don’t need a negative post coming from you. You should make sure that all your post are all positive, if you can’t at least make it witty. 2. Knows the business – Don’t hire a doctor to do a lawyer’s job. Hire someone that has vast knowledge of your industry, this keeps the flow of the work simple and seamless since he/she does not need to do a 1 hour research for every nomenclature he/she stumbles upon. 3. Seasoned – This is not a job that you can learn under your mother’s basement for a month. This work takes years of practice in order to produce the best result. Just because someone stumbled upon an article about managing social media profiles does not automatically make them social media managers. Ask for a portfolio. 4. Sales Background – Last but not the least is sales background. The best managers are the ones with sales background. Every sentence needs to be worded in a way that enhances your brand or if your promoting something, it should be worded in a way that entices your customer to click the banner. It’s a science and there are certain ways that only a person with sales background can do. Marketing is good but people with sales background convert better. If your looking for someone to manage your social profiles but don’t want to pay for a full time employee, we got the best package for you. We have been offering this service since its inception thus we have vast knowledge to properly manage your social media profile. May it be Facebook, Twitter, Youtube, G+ Profile, Linkedin, Pinterest, Tumblr or any other major social media platform, we got your back. We also provide free advice for business owners who wants to expand their online presence. Here at Westchester NY SEO, we are not satisfied with just providing mediocre service, if you already have a search engine optimization campaign in place, we will make sure that our social media management will synchronize perfectly with your SEO campaign, all for free. For more information, please call us. We will be glad to solve your problems!